I'll be hitting the road with my prog buddies James Norbert Ivanyi and Liam Horgan in August, this time supporting the always amazing Caligula's Horse. 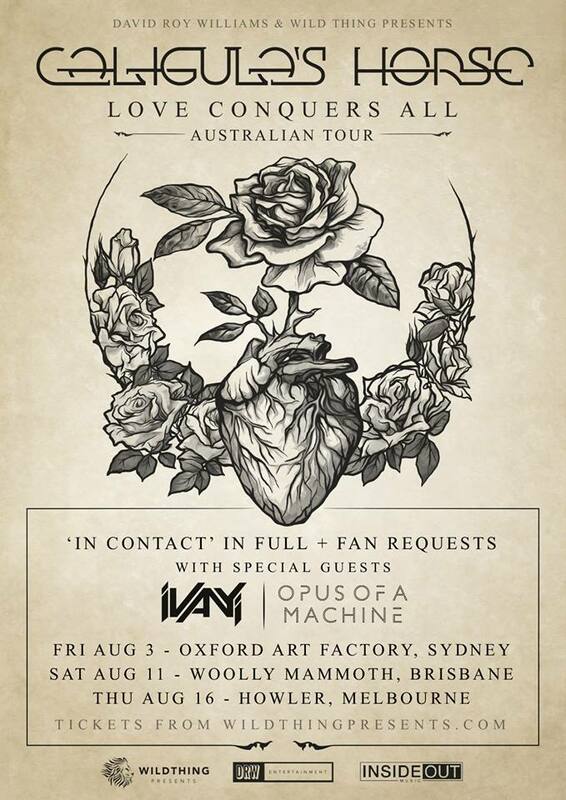 Also joining us on the mini-tour are mates in Opus of a Machine. C-Horse will be playing their latest album in it's entirety as well as a second set of fan requests, while we'll be playing the track 'Terraform Diminution' for the first time live. There's some very tricky parts in there but I'm looking forward to laying it down on stage! A couple of months ago I put out the below tutorial video which demonstrates a few different linear 32nd note paradiddle fills. The PDF is available to download for free in the Transcriptions section of my website. Over the past few months I've been working on a series of tutorial videos which go through different broken 16th note rhythms and fill in each rhythm with kick drum in the gaps. I combine each rhythm with every other set of broken 16th note rhythms and apply them around the kit to form fills. Essentially these form the fundamentals of linear drumming. I'll be releasing these videos in the next week so keep an eye out!